A few months ago, Ha Ngoc Linh joined Synergy Vietnam’s management team. As Head of Business Development, Mr. Linh has designed a training program for our new team members. He will personally oversee and conduct that training and will also be responsible for marketing. 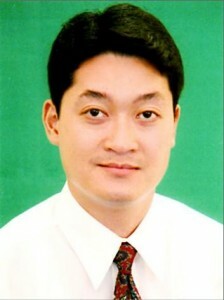 Mr. Linh comes to Synergy from a background of almost 15 years in sales, marketing and training. With that experience, Mr. Linh will be a tremendous asset to our team members in Vietnam. He has a proven track-record when it comes to training a sales force. He has experienced this success both within and outside of the MLM industry. His success is due to his ability to build relationships of trust, to motivate and inspire others and to foster an atmosphere of teamwork. Mr. Linh is a very mature and highly motivated and enthusiastic leader. We are quite confident in his ability to partner with the team members in Vietnam for their success. We know that with his help, we can make Synergy the leader in the MLM industry in Vietnam. His passion, skills and experience will fit perfectly with the rest of our management team (which is now in place). We are excited that he is part of our team, and look forward to the day that we can open our doors in Vietnam!